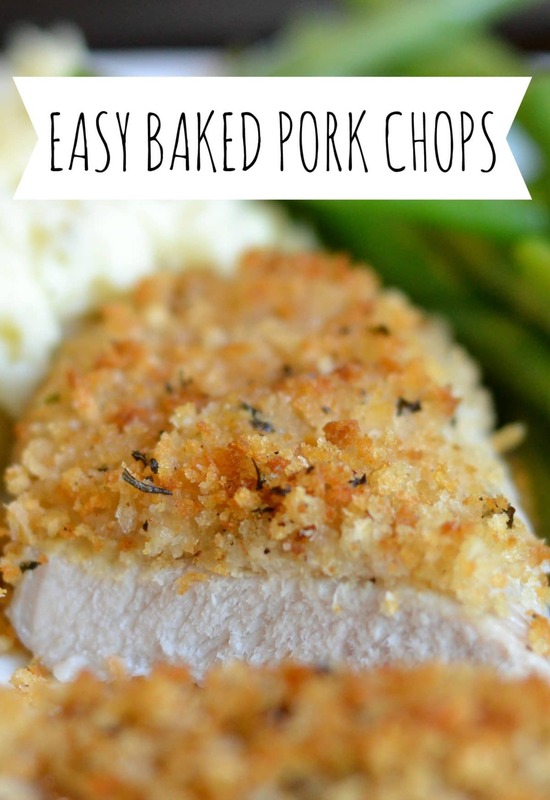 These easy baked panko pork chops are packed with flavor despite having few ingredients. 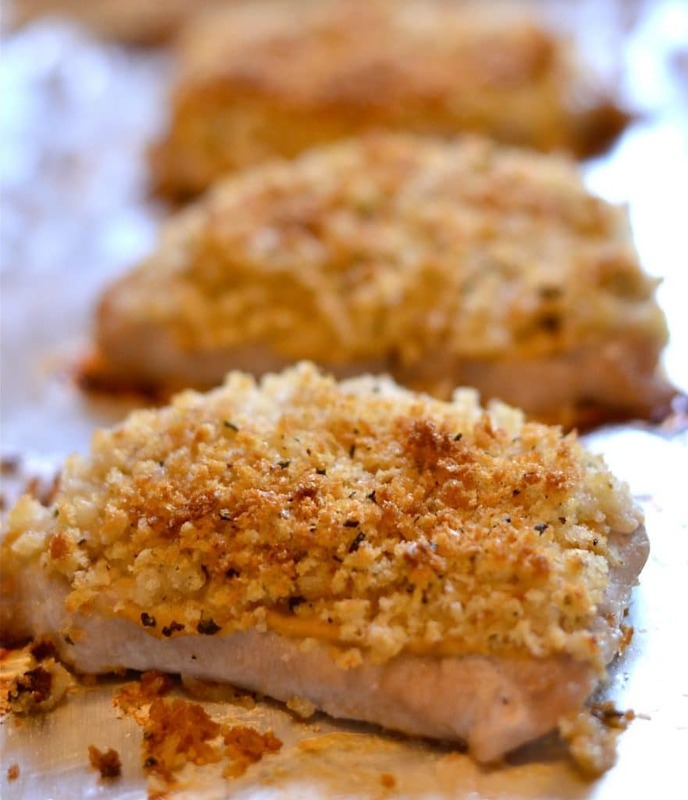 Made with boneless pork chops and a crispy panko breadcrumb and herb topping, it’s a delicious and quick weeknight dinner recipe. This post has been sponsored by Collective Bias, Inc. Simple, nourishing, and easy family dinners are my my favorite types of recipes to create and share. If I can put a nutritious meal on the table without spending a ton of time in the kitchen, and my whole family actually eats it and even loves it, then I feel like an Iron Chef. So, when Smithfield® gave me the challenge of coming up with a simple dinner recipe featuring their Smithfield All Natural Boneless Pork Chops, I was ALL IN! 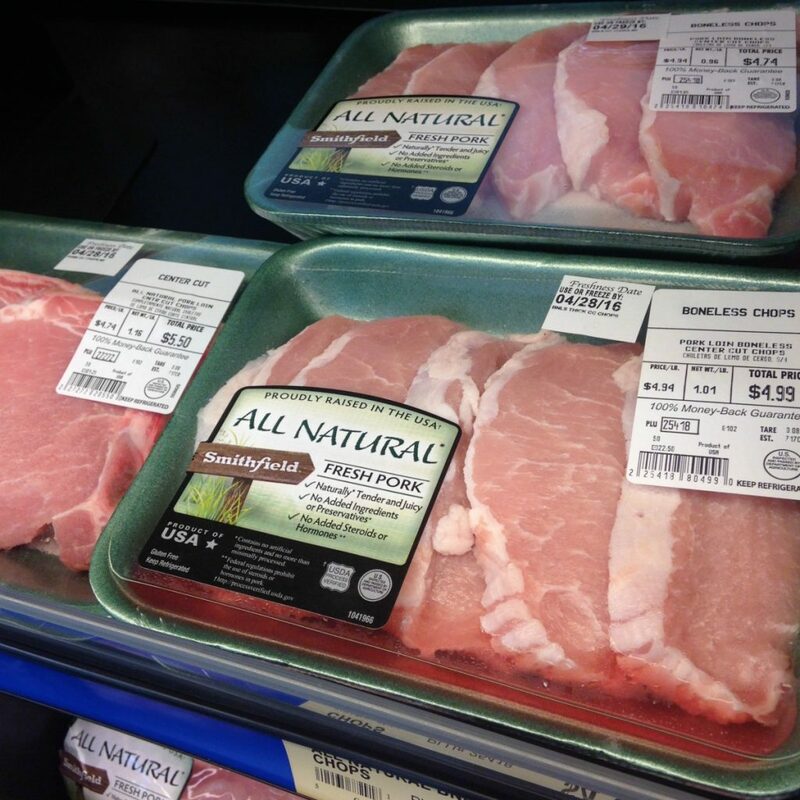 I love that Smithfield® pork chops are proudly raised in the USA without any added steroids, hormones, or artificial ingredients. 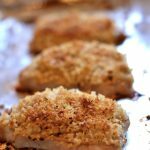 I also was excited for the opportunity to create these easy, yummy panko pork chops that can be whipped up any night of the week in 30 minutes or less. The ingredients that you need for these breaded baked pork chops are likely already in your pantry. The panko topping is made by combining panko breadcrumbs with some herbs, garlic powder, salt, and pepper. 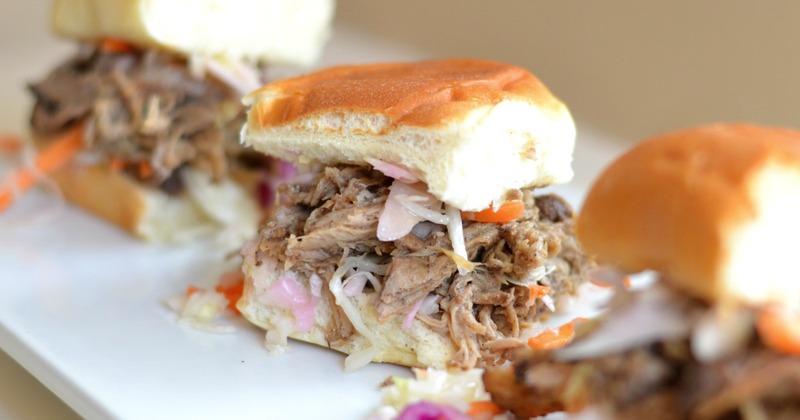 The only other things you’ll need are some dijon mustard and some olive oil. I used poultry seasoning in this recipe, which is a combination of dried basil, rosemary, sage, marjoram, thyme and oregano. If you don’t have poultry seasoning on hand, you can easily swap in any combination of these herbs, or even just one of them, and it will still turn out great! There are also some great recipes for homemade poultry seasoning online. To make the topping, you simply combine the breadcrumbs and seasonings in a bowl, and then give the mixture a quick saute in olive oil to bring out the flavors of the herbs and the crunch of the panko. When the breadcrumbs have started to turn golden-brown, you place the pork chops on a baking sheet, spread dijon mustard on top of each pork chop, and then top the chops with the breadcrumb mixture. Bake for about 20 minutes at 375, and you’ve got a delicious dinner on your hands that seems like it required WAY more effort than it actually did. If you’re looking for something to serve with these pork chops, I highly recommend my make ahead mashed potatoes. This easy baked pork chop recipe can be made in under 30 minutes, and the panko topping gives it a delicious crunch. 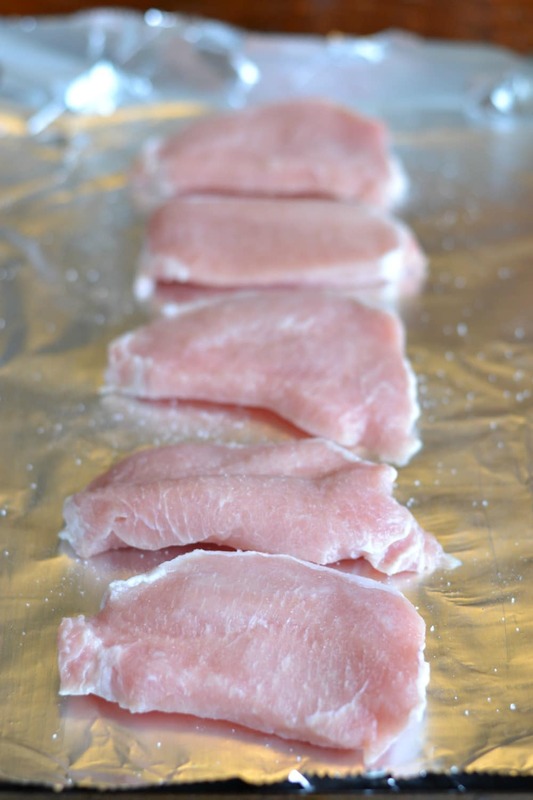 Place pork chops on a foil-lined baking sheet. Sprinkle with salt and spread a layer of dijon mustard over each pork chop. In a small bowl, combine the breadcrumbs, garlic powder, poultry seasoning, salt and pepper. Heat the olive oil in a skillet. 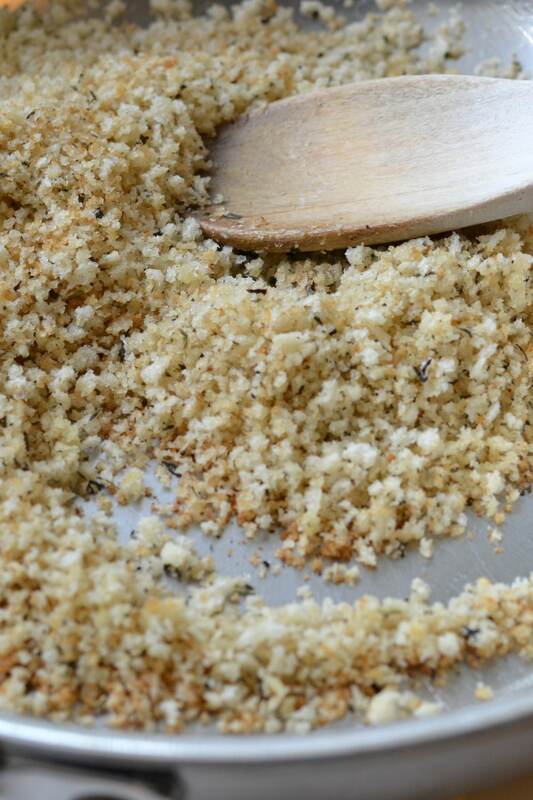 When oil is warm, add the breadcrumb mixture. Saute for several minutes, stirring constantly, until breadcrumbs just start to turn golden brown. 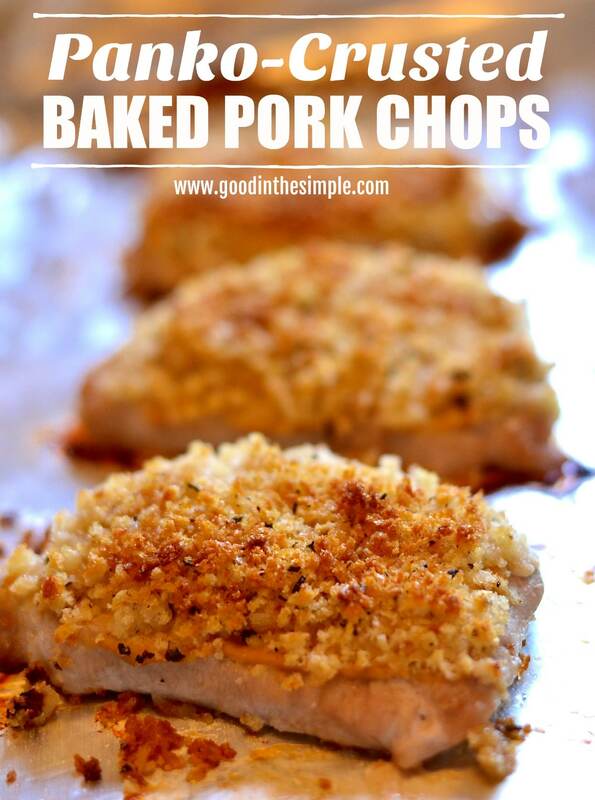 Place a generous amount of toasted breadcrumbs on top of each pork chop. Bake at 375 for 20 minutes, or until pork chops are cooked through. (Cooking time may vary depending on the size & thickness of your pork chop). *If you don't have poultry seasoning on hand, you can swap in rosemary, sage, oregano, marjoram, thyme, or a blend of these herbs. This was SO delicious and the pork came out very tender. I was worried the mustard might be too strong, but it’s not. My husband and kids ate it up!